Awesome - great choice. 🙂 You are now set to receive notifications about my swexy new releases, and nothing else. 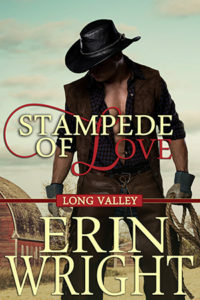 Hey, while I have you here, have you downloaded your free copy of Stampede of Love yet? If not, be sure to check it out here: Swexy version of Stampede of Love. That's my thank-you gift for choosing to hang out with me; hope you love it as much as I loved writing it. Or, be sure to check out all of my Swexy titles. Enjoy! Declan’s high school sweetheart left Long Valley years ago and has never looked back. He tries to move on, but can’t let her go. Then one day, she’s back in town, but everything has changed. 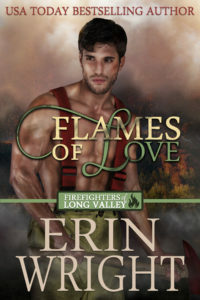 Can Declan let his heart guide him? 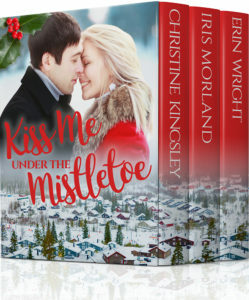 After a bitter betrayal, Dawson Blackhorse won't allow anyone to run roughshod over his heart again ... especially not the woman he was once foolish enough to trust. The rodeo circuit gave Dawson an escape after his racist boss ran him off. Hank Bartell made it clear no man who was part-Navajo, would buy his ranch or court his daughter. In a single moment, the man destroyed every one of Dawson's dreams. Dr. Adam Whitaker, vet extraordinaire, has spent the last nine years helplessly in love with Chloe, and deserves his own happily ever after. Except, what if the love of his life comes with one condition…a baby? That’s all Rex Kingsley wants. Eight seconds on the back of Bodacious, the most feared bull in the PBR. Two years ago, the massive bull threw him and stomped him into the sands of the Tulsa Rodeo in front of ten thousand spectators. Rex survived. Barely. Now his single goal is to conquer the bull touted as “unbeatable.” No bull rider has lasted eight seconds on Bodacious’ back for over five years. Rex aims to break that streak, and his lofty ambition leaves no room in his life for a woman.